Live electronica power trio from Portland Oregon. every note is played and recorded live. This show at Boom Boom Room on Wed, Aug 22nd in SF will blow your mind! Dance your azz off all night long to the stellar, live-tronica super group new music sensation... DON'T MISS THIS SHOW! Yak Attack is real, organic live-electronica. 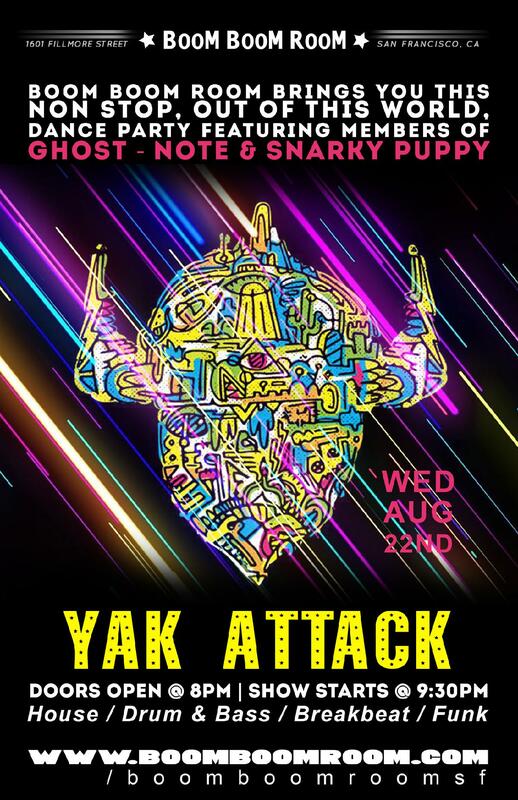 Creating a full, lush, danceable sound using live loops, well-placed samples, thick grooves, and expansive soundscapes, Yak Attack keeps the dance party at full blast, while constantly jamming, improvising, and experimenting with tunes in ways only a live band can accomplish. Live-looping meets House meets Breakbeat meets Electro-Funk meets Drum&Bass meets Trip Hop. Huge news from the Yaks! First, as many of you know we've been working incredibly hard on our third studio album, and we're beyond excited to announce that we will be releasing "Safety Third" on the venerable Ropeadope Records! So many of our idols got their start on this label (Snarky Puppy, MMW, Charlie Hunter, DJ Logic to name a few) and we are honored to be part of the Ropeadope family. ... is a live electronica power trio from Portland Oregon. Founded in 2013, the band has experienced steady growth over the past few years and has been building buzz by touring frequently throughout the Pacific Northwest, California, and the Mountain West. electronica, such as house, drum and bass, and breakbeat, along with elements of jam, funk, and jazz. The result is a live show that is musically sophisticated but widely accessible, with a diverse and engaged fanbase that travels to out of town shows and continually returns to see what the band will do in its next live show. Yak Attack has performed at summer festivals such as Treefort Fest, Joshua Tree Music Festival, Guitarfish, Northwest String Summit, Apple Jam, and Contour Music Festival. 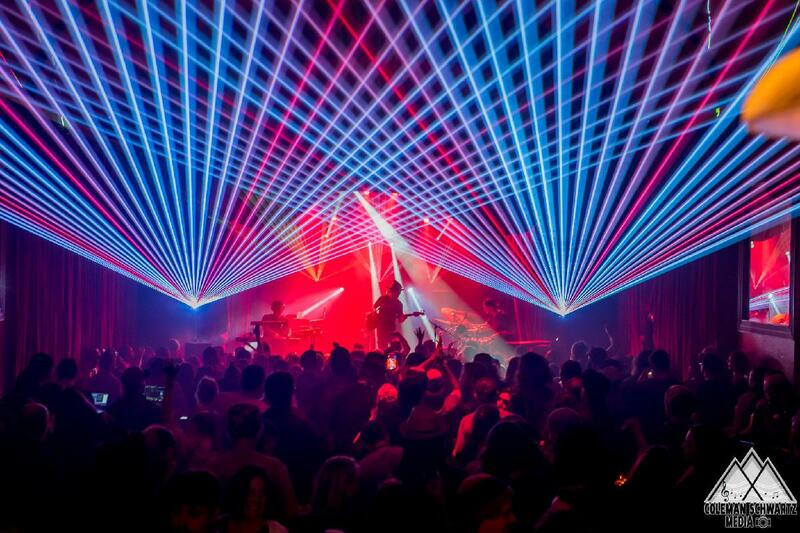 The band has also established itself as a strong afterparty band with capacity late night shows following acts such as Phish, String Cheese Incident, and Sound Tribe Sector 9. They have shared the stage with many established or up and coming acts such as Juno What?, TAUK, Turkuaz, The Magic Beans, BreakScience, Funk Hunters, YAMN, Fruition, World's Finest, and Acorn Project. The band continues to ramp up its tour schedule and looks forward to bringing its unique dance party to a venue near you.